The deceits and deficiencies of the workings of sovereignty have received noticeable attention among generations of writers in Israel/Palestine. However, the sovereignty of sovereignty itself as a reigning paradigm in the Western tradition of political thought remains unduly recognized. Taking this insufficient attention as an initial assumption, in this paper I focus on a dissociable property of modern sovereignty as formulated by its founding celebrants Hobbes and Rousseau: the molecular principle of indivisibility. I argue that in sovereignty regimes, there is an inherent denial of the possibility of human self-oppression—a denial that attenuates ethical orientations to fragility, finitude, and revelation—to deleterious effects. From a Palestinian standpoint within a dissolving Middle East, I hold that an immanent task for critiquing sovereignty remains and requires something greater than promoting its equitable performance in the region’s complex of nation-states. A Palestinian contestation of the grip of sovereignty over the modern political imagination could draw resources from the Palestinian experience and from the past and present of the Muslim tradition, to generate possibilities for restoring humility to governances and inducing a more genuine flourishing of persons, polities, and the planet. 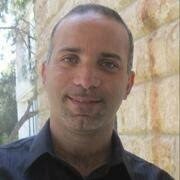 Dr. Khaled Furani is an associate professor of Anthropology at Tel-Aviv University. His research interests include social theory, modernity, language and literature, secularism, Palestine, and the history of anthropology. He has published articles in American Anthropologist, American Ethnologist, Comparative Studies in Society and History, Annual Review of Anthropology, Arab Studies Journal, Journal of the American Academy of Religion, Theory and Event, Interventions, Boundary 2, and Postcripts. His ethnography, Silencing the Sea: Secular Rhythms in Palestinian Poetry appeared in 2012 with Stanford University Press. His next book, Redeeming Anthropology: A Theological Critique of a Modern Science is forthcoming in 2019 with Oxford University Press.